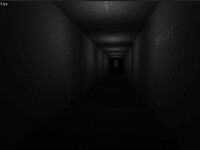 SCP – The Fear is a game project based on the still non-published SCP story called “The Fear”. 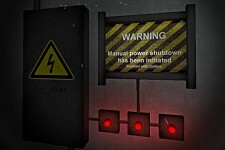 It is heavily inspired by SCP: Containment Breach, as the game takes place in Containment Area No. 563, where all hell breaks loose. You have had contact with almost every type of SCP, and the result is a new fear you develop. I don’t really know what to say yet, the concept is still being built (very slowly), and the story is still being written. The game is still in Pre-Alpha development phase, which means you can’t “Play” yet. I put up some DL so you can test it if you want to, but don’t expect a triple A game. Not yet! Now lucky enough for all of you a while back we made up an alpha for some people to give insight upon. This alpha as old as it is, will be released to you all as of now. Along with that this is in no way a representation of the full game. This level was made for alpha testing and as such will not be a in the full product; as we are keeping those aspects of the game in a tight seal. With that said, the story has also been left out. We strongly suggest sitting this out, if you are expecting anything more then a spooky warehouse simulator. Notes: As this alpha was created previously to my arrival, my soundtracks WILL NOT be featured. Refer to previous update before posting feedback. Sorry for the lack of updates, very busy with other things. Posted by Rottengear On the "SCP - The Fear" blog. Also, you need to make the flashlight a lot brighter, and make it possible for the flashlight to die, and add batteries for that. The darkness works very well, but there are a few problems that made me not want to leave the first room. You definitely need to make the voice volume a little louder, Try to make the hand appear onscreen so that you can tell if you can pick up an object, and finally and most importantly, FIX THE FRICTION, You walk unbelievably slowly, and then you slide like you are walking on ice. you barely move when you walk, then you slide like a ballerina that decided to go figure skating. ok that was a bit dramatic, but you still slide like the ground is ice. Let me know when you've tried to fix this, then I'll try it again. What application should I run this with?